Hillary Clinton might think twice before she appears on Fox News anytime soon. 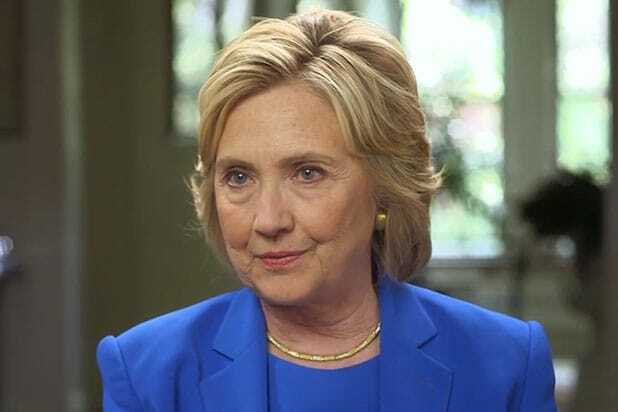 An interview the Democratic presidential nominee did with Chris Wallace on “Fox News Sunday” has turned into the headache that won’t go away, thanks to her comments about the FBI’s ruling on that dreaded email server situation of hers. Nearly a full week after her Wallace interview where she inaccurately stated that FBI Director James Comey ruled her statements about her personal email server “truthful,” tongues were still wagging at the Association of Blacks and Hispanic Journalists Conference. “I may have short-circuited it, and for that I will try to clarify,” she told inquiring reporters. She went on to say: “What I told the FBI, which he said was truthful, is consistent with what I have said publicly.” She reiterated that it was a “mistake” for her to conduct official business on her private account. Clinton’s appearance on “Fox News Sunday” was her first time on the program in nearly five years and only her fourth time appearing on Fox News Channel since announcing her presidential candidacy in 2015. Many pundits believe she needs to appeal to the Fox News audience to attract anti-Donald Trump conservatives, but the backlash from her Wallace interview might force her campaign to avoid Rupert Murdoch’s network.